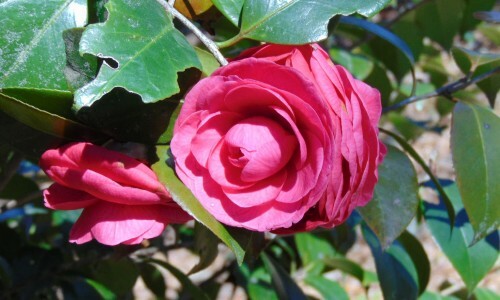 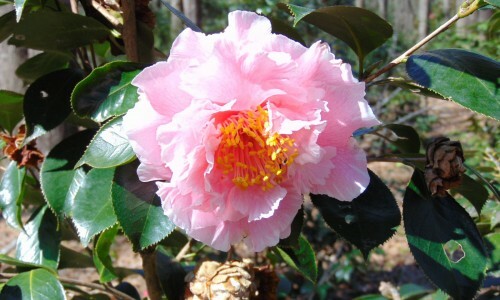 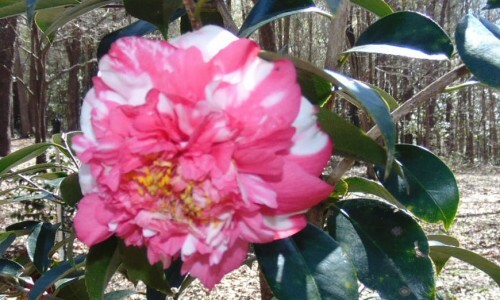 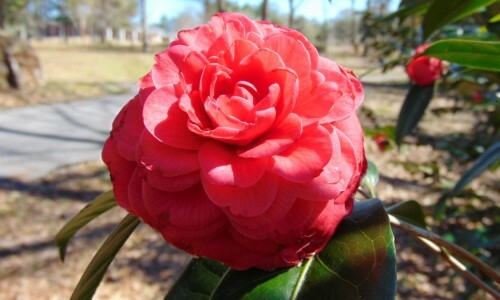 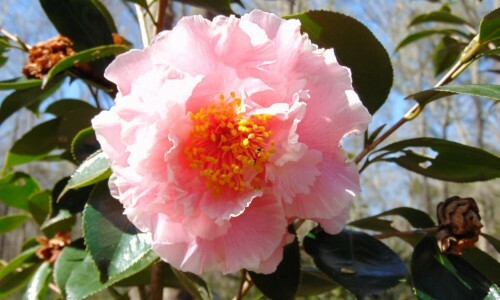 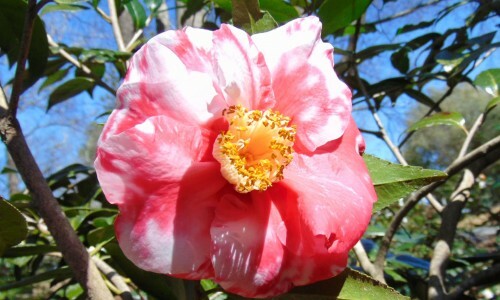 The Camellia Garden is always ablaze with color while the rest of The Garden sleeps. 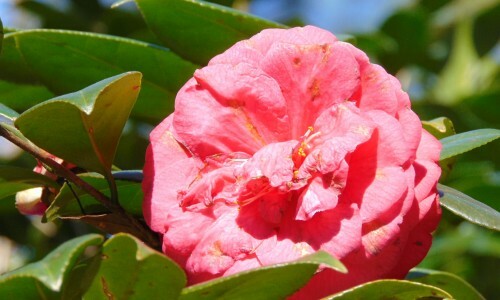 Early blooms can be spied in October, with flowering taking place through March! 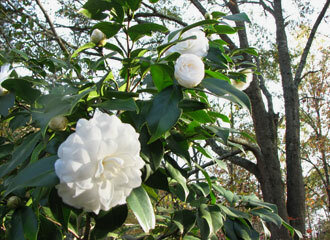 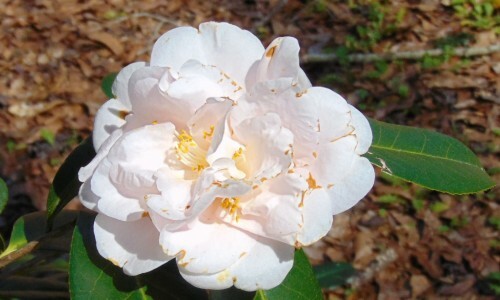 The garden features sasanquas, japanocias, hybrids, and reticulates, with a Winter Muse always standing guard over the camellia plantings.